Arkansas’ State Health Alliance for Records Exchange (SHARE) has licensed IMAT Solutions’ Foundation Services, Natural Language Processing, Query Builder, and Clinical Reports modules for their network of 26 major hospital systems and 244 participating practice sites in 95 cities. SHARE will use IMAT Foundation Services and IMAT Natural Language Processing to aggregate, ingest, and normalize disparate data sources (including unstructured data). These IMAT modules will make all of SHARE’s data available to its participating members for data discovery, analysis, and reporting. These modules will provide a platform that supports both current and future data requirements. IMAT Query Builder will allow SHARE to explore its data in both an ad-hoc and an automated fashion and to deliver results extremely quickly–in seconds rather than the hours or days other systems require. IMAT Query Builder results can be examined directly or exported for use in other tools. IMAT Clinical Reports will utilize the data discovered by IMAT Query Builder to deliver valuable insights from the terabytes of clinical data housed within SHARE to leaders and clinicians across the state. These insights will help drive decisions around population health management, regulatory reporting, and more. 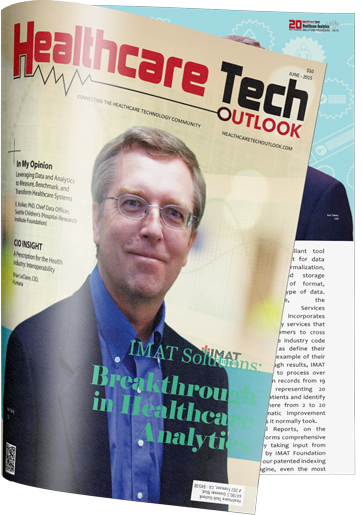 IMAT Solutions was formed in 2012 to provide key innovations in data accessibility, analysis, and reporting to healthcare organizations. IMAT helps improve care, increase efficiency, and decrease cost. IMAT’s modules make it a flexible solution that can be tailored to each organization’s needs.